Discussion in 'Character Biographies' started by Anonymous, Jan 27, 2019. Chelsea's a nativeborn resident of Astoria, Oregon, born back in 1995. She lives with her mother, Charlotte Barnes not far from Astoria Secondary School. Her mother works at the local hospital as a nurse, and is generally well liked by others in the neighborhood. The young girl has an innate curiosity towards things around her, and takes interest in a number of activities and hobbies. Having just started middle school several months prior, Chelsea enjoys spending time with her friends, listening to music, talking about fashion, and so on. However, she's no slouch when it comes to academics, and similar to her mother, believes she may want to go into the field of medicine when she's older. She does have some reservations and self doubts about herself, especially with how other may perceive her and how she can act. Overall, she's cheerful and upbeat, but sometimes the stress of school life can get to her. Overall, she's a fairly normal girl, for the most part. A young girl starting to go through puberty, Chelsea's growing, but currently sits at 4'6" and weighs around 80 pounds. With bright blue sapphires for eyes and a bright, golden blonde cut that stretches just past her shoulders, and a blue hairband to match, she's pretty. Often times, she'll be wearing a denim jacket or red sweatshirt or coat with the coming winter months, alongside a t-shirt with some sort of graphic and various colors. Usually in jeans, she pairs them with either a nice pair of tennis shoes or lavender boots her mother bought her. 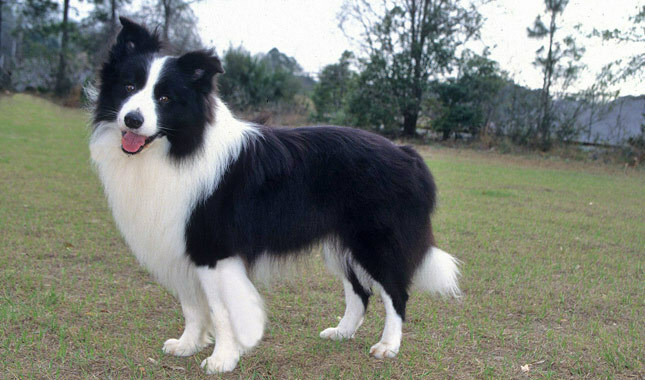 Chelsea's beloved Border Collie, Jane has been with the family for nearly three years, adopted as a pupper from the local kennel. Considering Charlotte's continuous and constant work as a nurse, she saw fit to get her daughter a companion that would be around for her as she worked late into the morning at the hospital. Jane's a loving dog for her family and has been lovingly trained by Chelsea to follow a number of orders and tricks. She's generally nice to others, though has an intuitive sense of people that may be good or bad, and will react accordingly to protect her human. Devon, Espa, Host of Proselyte and 2 others like this. Faceclaim changed cause last one was a photo of a kidnapping victim (she's alive) that was already widely distributed through the news and media, and someone filed a ticket against the use. Thus the admins have forced me to change it to something different. Tried to get one that matched the looks fairly closely and this one was close enough, I suppose =3=.